Communities are coming together to plant Solar Gardens — and visionary new laws are making it possible. Here you will find information on federal and state legislation plus tax-related news. 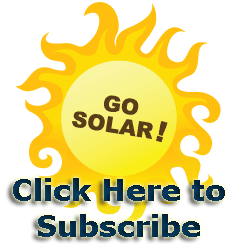 The SUN Act: Introduced by Senator Mark Udall, this act makes a tiny change to the tax code allowing federal tax rebates for solar panels hosted off-property. The Treasury Grant Program: Awards selected commercial solar project developers an upfront grant totaling 30% of the project cost. SB 843, before the State Legislature in 2012, would allow virtual net metering in California. Preliminary analysis of the bill by the Local Clean Energy Alliance: http://www.localcleanenergy.org/files/SB%20843%20PreliminaryAnalysis4.pdf. In 2010, Governor Ritter signed the Community Solar Gardens Act. See the full text of this bill here. In 2008, State Representative Matt Patrick authored the Green Communities Act, which authorized “neighborhood net-meterin,” allowing a group of residents in a neighborhood or town to pool resources to cover the capital cost of a renewable energy installation. Two community solar gardens are already in place in the state. The Washington state legislature recently approved the Community Solar Enabling Act, allowing co-ops to host solar panels for subscribers anywhere in the state.